The Fluidmaster 502 PerforMAX 2 Water-Saving Flapper is a top choice for flush efficiency. The PerforMAX water saving adjustable dial design to optimize your flush performance and water use. Built durable for a long life, this flapper is constructed with corrosive resistant materials and a solid frame that won t bend for a secure seal. A universal design that fit s most 2 flush valve models, best with 1.28 HET and 1.6 GPF toilets, and can work with 3.5 GPF. This highly efficient design also features simple and easy installation saving on DIY toilet repair time. Save on water, money and solve common flush and running toilet problems with this 2 toilet flapper replacement. 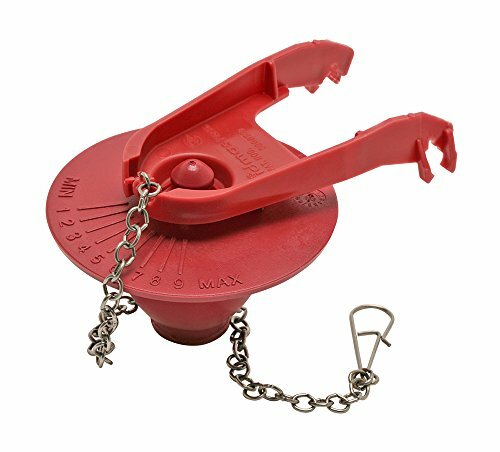 Save on water usage with this dial adjustable flapper! Enhance your toilet s overall performance in one proven Fluidmaster kit. 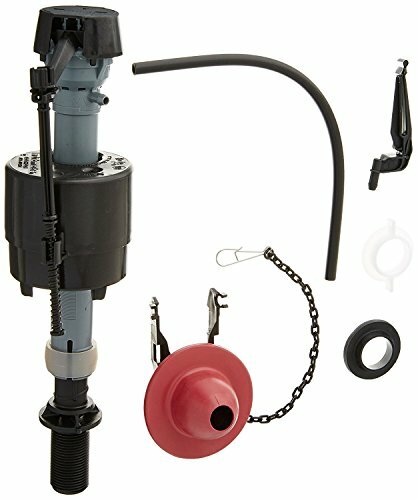 The Fluidmaster 400CR Toilet Fill Valve and Toilet Flapper Repair Kit is a complete fill and flush toilet repair kit that includes both the trusted Fluidmaster 400A toilet fill valve and the durable Fluidmaster 501 2 flapper. Perfect for a DIY upgrade with its fast and easy installation and a 5-year warranty. 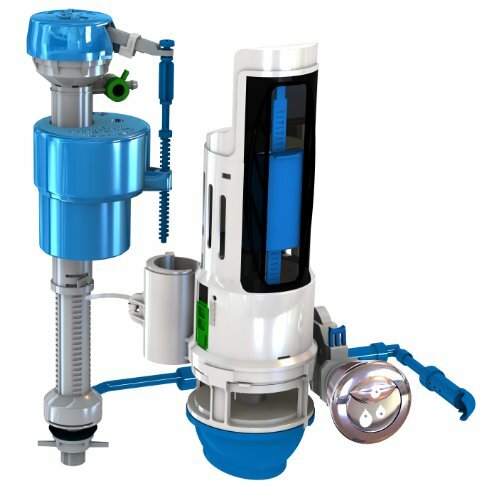 A replacement toilet kit that solves most common toilet fill problems, with the included 400A toilet fill valve anti-siphon design. While the reliable 501 2 flapper helps prevent leaks, featuring a solid frame build, and corrosion resistant materials. For an even more optimized performance consider combining with a Fluidmaster automatic toilet bowl cleaner. A universal design fitting most 2 flush valve toilets, best with 3.5+ GPF and works with 1.6 GPF toilets. The Fluidmaster 400CR Toilet Fill Valve and 2 Toilet Flapper Repair Kit is the #1 solution to fix noisy and running toilets. The customer's top choice for toilet fill valve and toilet flapper replacement! The Fluidmaster 400AH PerforMAX Toilet Fill Valve sets the high performance standard. Designed to replace old and leaky fill valves the PerforMAX fill valve is the most powerful toilet fill valve on the market (*Also known as the 400ARHR). With quick and easy installation this fill valve design eliminates noise, while generating 2X greater refill rates than standard fill valve designs. A universal toilet repair part that fits most toilet models, with a height adjustable valve shank design. Best with 1.28 HET and 1.6 GPF toilets, including dual flush and can use with pre-1994 3.5 GPF. The water-saving roller clamp helps save water and money by optimizing your toilets water usage. Built to last this replacement toilet fill valve features quality construction with a 7 year warranty. Combine with a Fluidmaster toilet flapper, or flush valve for complete fill and flush optimization. PerforMAX the top solution for enhancing your toilets power, and eliminating noise. Fix noisy, slow filling valves with the quietest, most powerful toilet fill valve on the market! 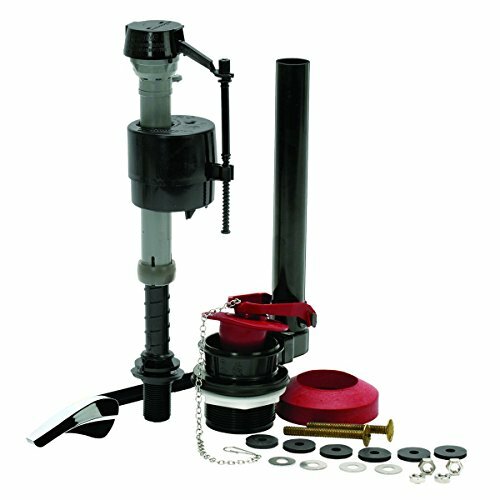 The Fluidmaster Complete All-In-One Kit, features everything you need to make your toilet run like new. The trusted and proven 400A toilet fill valve ensures a quiet and proper fill, while the PerforMAX 2 Water-Saving Flapper adjusts to maximize water usage with each flush. 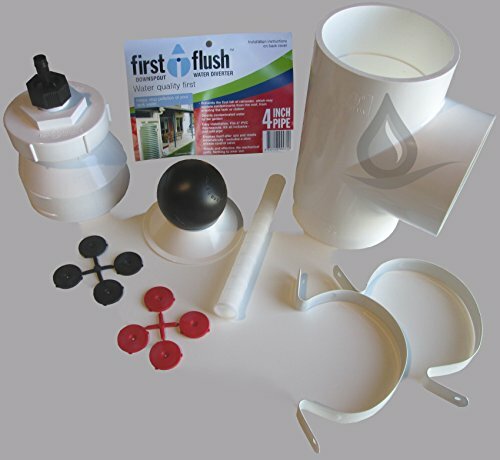 A complete toilet repair kit which also includes a replacement toilet flush valve, toilet handle and tank to bowl gasket, solving various leaking and common toilet problems. Only trusted, durable and code approved toilet replacement parts in this kit, designed to restore and fix overall toilet performance. Simple easy to follow instructions are included in this universal design, that fits most 2 flush valve toilet models, best for 1.6 GPF and 3.5 GPF designs. The Fluidmaster 400AKR All-In-One Toilet Repair Kit is designed with overall performance in mind. Everything needed to make your toilet run like new! Protect the warranty on KOHLER products, always look for the KOHLER GENUINE PARTS logo. This fill valve was designed by KOHLER engineers to maintain original product performance and promote product longevity. Replace your old or leaky fill valve with an OEM KOHLER part. Protect the warranty on KOHLER products, always look for the KOHLER GENUINE PARTS logo. This flush valve was designed by KOHLER engineers to maintain original product performance and promote product longevity. 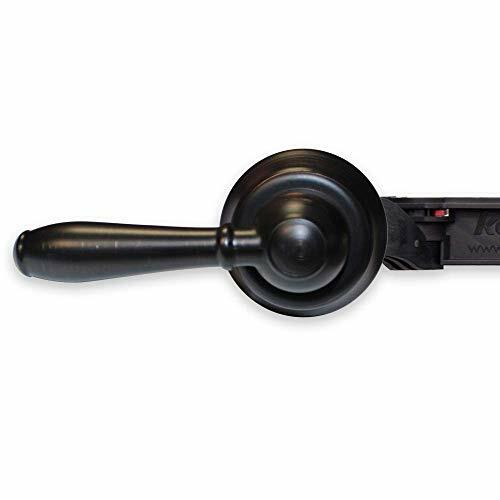 Replace your old or leaky flush valve with an OEM KOHLER part. Use a soft, dampened sponge or cloth. Never use an abrasive material such as a brush or scouring pad to clean surfaces. "The Korky Ultra High Performance Flapper is the most universal 2 inch flapper available. The flapper adjusts to match original toilet settings and eliminates water waste by decreasing the amount of water flushed. Ideal for all standard 2 inch toilets, including: 1.28, 1.6, 3.5 and 5 gallons per flush (gpf). The exclusive longest lasting red rubber resists chlorine, bacteria, city water treatment, hard water, and well water. Recommended by the Clorox help line, this Korky flapper is proven longest lasting. The adjustable flapper has multiple settings to ensure it fits popular 2 inch toilet models. Made of flexible rubber for a tight seal and easy to install, the 100 includes: (1) Adjustable Flapper and (1) Stainless Steel Chain. 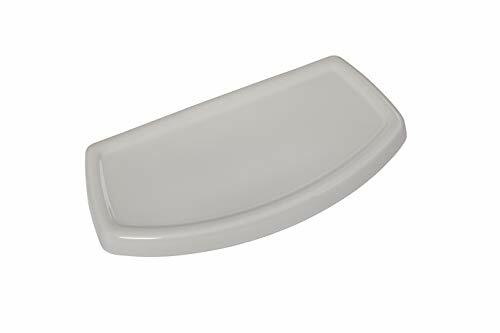 The 100 toilet flapper fits the following toilet brands, models and tank numbers: Fits Aqua Source: Aqua Project Source (CP-321) | American Standard: Cadet (4029, 4078, 4083, 4053, 4650), Evolution 2 Flowise (4061), Monarch (4003), Mainstream (4061) | Crane: Galaxy (3742) | Gerber: Viper (28-590) | Glacier Bay: WCRS1 | HD Supply: Seasons (564830) | Kohler: Portrait (K-4590), Wellworth (K-4620, K-4512, K-4519) | Seasons: Anchor Point (564830) | Sterling: Riverton (404522), Stinson (402091), Windham (404555) | TOTO: Carusoe (706), and many more!" UNIVERSAL: A replacement toilet flapper is needed when the toilet bowl doesn't empty or if it flushes slowly. This universal flapper adjusts to fit standard 2" toilets & flush valves in HET toilets. The flexible long lasting rubber creates a tight seal. 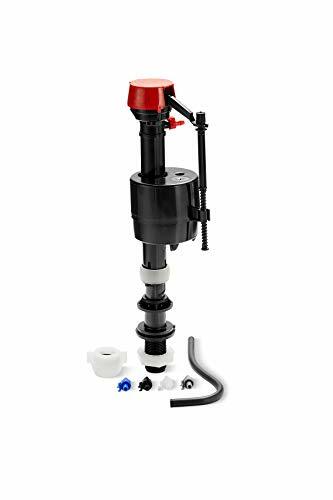 QUICKLY FIX leaking and running toilets while saving on expensive water waste with this large toilet flapper with a universal and adjustable design that fits oversized flush valves and newer toilet models. No tools are required for installation. THE LONGEST LASTING CHLORAZONE red rubber resists chlorine, bacteria, city water treatment, hard water, and well water. 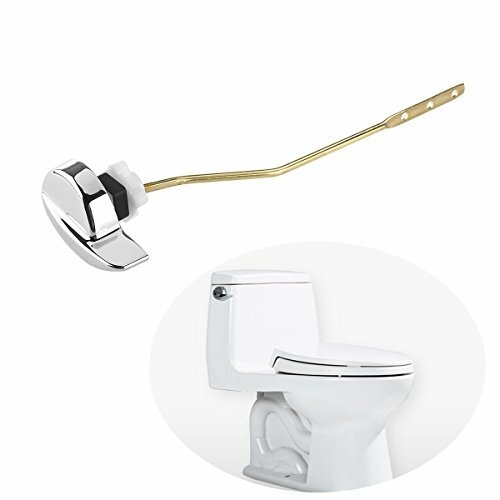 This toilet part replacement includes the universal adjustable flapper and stainless steel chain. WHY KORKY: Made in America, our high quality toilet products are universal & specific to your toilet repair needs no matter if your toilet is modern or older. Our repair parts are easy to install & made exclusively from long lasting chlorazone red rubber. HIGH QUALITY REPLACEMENT TOILET PARTS: Need to repair or replace toilet parts? Try Korky Toilet Repair because we continue to commit to designing toilet repair parts that are universal to fit the majority of toilets. Designed & manufactured in Wisconsin. The Fluidmaster 5403 Water-Saving 3 Toilet Flapper solves common leaky and running toilet problems, while efficiently using water. Save water and money with the 5403 s adjustable water dial, to promote efficient use of water per flush, while the solid frame build prevents bending for a secure seal. Featuring a highly durable silicone seal that lasts 10 times longer than regular flappers, a corrosion-resistant material build, and a 10-year warranty. Easily replace and upgrade old, corroded and leaky flapper models. Best fit for 1.28 HET and 1.6 GPF toilets with a 3 flush valve. Consider combining with a Fluidmaster Toilet Fill Valve for complete fill and flush optimization. The Fluidmaster 5403 Universal Adjustable 3 Flapper is built to be an efficient and long-lasting solution to upgrade your 3 flush valve toilets performance. Color: Silver golden. Material: Zinc alloy. Wrench width: about 8cm 3.15 inch. Lever length: about 21 cm 8.3inch. 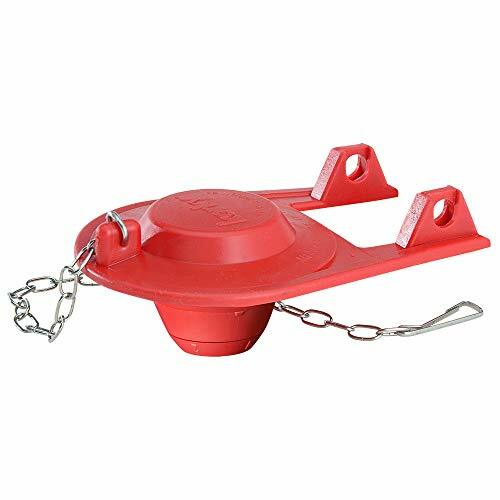 Featured side mount design, suitable for TOTO and Kohler toilet tank. To decorate your bathroom, make your life perfect and convenient. Please noted that there is no install instruction, please make sure you can install it before order. 2: Uses 3 x AA Batteries (the batteries are not included). AA battery has longer use time than AAA batteries. 7. Suitable for all bathrooms: home, hotel, restaurant, coffee house, etc. By default, the unit comes in "carousel mode" meaning it will cycle through all 16 colors (1 color every 4 seconds) To select a color hold down the button until LED blinks blue, click button to select desired color. CUSTOMER GUARANTEE We're confident you'll love our Toilet Night Light. However, if you're not completely satisfied, we'll give you a 100% refund within 90 days of purchase--NO QUESTIONS ASKED at GoldArmourUS@gmail.com. We have the best customer service on Amazon, and YOU, the customer, are our top priority. Add a set to your shopping cart today for a risk-free night light experience! 16 COLORS & 170 DEGREES Radius- This motion activated toilet light has 16 colors that can work on a rotation or as a solid color by using the control button. 170 degrees coverage makes it detect motion a much wider angle most other toilet lights which can reach 120 degrees or lesser. CUSTOMER GUARANTEE We're confident you'll love our Toilet Night Light. However, if you're not completely satisfied, we'll give you a 100% refund within 90 days of purchase--NO QUESTIONS ASKED. We have the best customer service on Amazon, and YOU, the customer, are our top priority. Add a set to your shopping cart today for a risk-free night light experience! If you have any questions or issues, email us: GoldArmourUS@gmail.com. 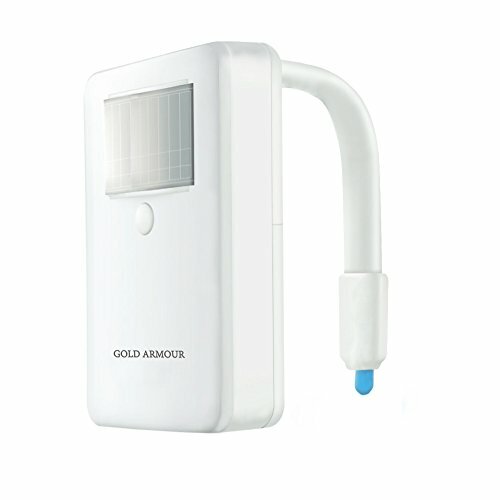 This LED toilet night light is our latest 4TH GENERATION model and offers the highest quality and longevity. No more stumbling around in the dark with this led toilet bowl light! No more lights that are too bright at night! No more messy cleanups. Makes POTTY Training FUN! For recent years, TECHO is always trying to bring you smart convenience where you need it most. Such this Automatic Toilet Flusher. With This Touchless Toilet Flush Kit, your loved ones will be safer, you'll live better! Converts your toilet into Touchless Toilet Flush Kit without replacing the current toilet or toilet seat, manual handle works as well converter kit. Techo's touchless flushing system can retrofit your toilet into a more hygienic flush system at home. Simply wave then flush! No more germs spread! No more holding the handle down! This Touchless Toilet Flush Kit applies to Household, Ideal for Children, Disabled, Elderly.Keep your toilet hygienic and prevent cross-contamination. 1.Accurate & User-friendly System: Wide sensing distance to ensure high accuracy.Allow sensor-range and flush-time adjustment. 2.IP67 Waterproof: Function remains unaffected even when long-term exposure to water. Package of Touchless Toilet Flush Kit: 1 controller, 1 chain, 1 bracket, 1 foam pad, 1 label, 1 battery box, screw and 4 AA batteries. 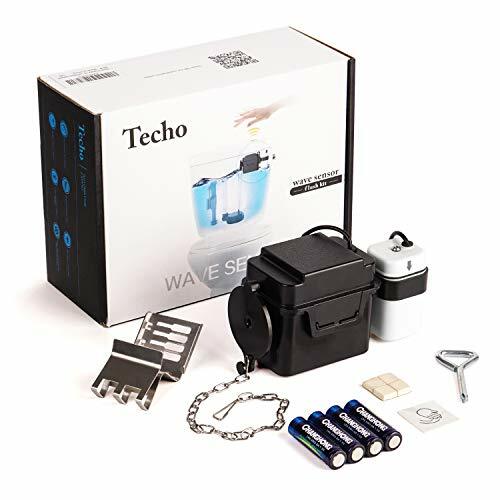 Principles of Touchless Toilet Flush Kit: Sensor controller connects with tank's flapper valve, the waterproof motor lifts and lowers flapper to motivate flush. It's very stable as the microwave-controlled sensor detects user's proximity to detection area and flushes when user leaves sensing range. 100% Satisfaction Guarantee: Contact us if you ever experience any trouble of Touchless Toilet Flush Kit! We dedicate to give our customers the better bathroom experience possible. Just read our reviews of this Touchless Toilet Flush Kit, you will know how magic it is. EFFORTLESS UPGRADE: Upgrading into automatic toliet without replacing the current toilet or toilet seat, AND the manual handle will be still working as a backup. Automatically flush when hands waving over the detection range. A more sanitary way to flush than using the handle. RELIABLE MOTION SENSOR, ADJUSTABLE SENSING RANGE & FLUSH TIME: Minimizing possibilty of phantom flash, only be activated when sensing motions within the detection range. Unaffected by the external environment. Easily adjust the sensor range and flush time with a screwdriver (included). Sensor range adjustment range: (0-8). Flush time adjustment range: (1-6s). EASY TO INSTALL & REPLACE BATTERIES: Simple installation taking most people less than 20 minutes. External battery design makes it easier to replace batteries. LONG LIFESPAN: The controller last for over 200,000 flushes in normal use and 4 AA batteries (included) last 30,000 flushes. RIMINDERS: The kit DOESN'T FIT ALL TOILET TYPES! 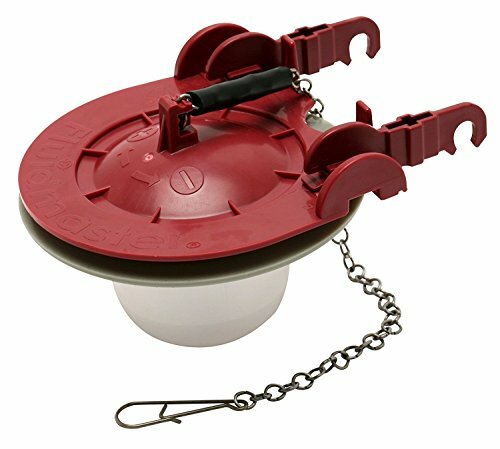 Only fits with most flapper and canister toilets, not for dual-flush/ ballcock valve/ top-mount flush and pressure-assist toilets! Contact us at once if you are not sure whether our product fit your toilets! Ideal for toddlers and elderly, useful aid for people with disabilities and a convenient helper in the night! Any question with our product, please contact us! Danco is one of the largest plumbing repair, replacement, and remodel suppliers in the home improvement industry focused largely on empowering 'Do-It-Yourself' consumers with plumbing solutions that are as practical as they are affordable, giving your home a more fresh appeal and renewed elegance. We provide stylish design-oriented innovative home solutions that are user-friendly to support and encourage customers to tackle home improvement tasks on their own - without the heavy price tag of professional services. The HYR460 combines two products that will increase your toilet's efficiency and save water and money. 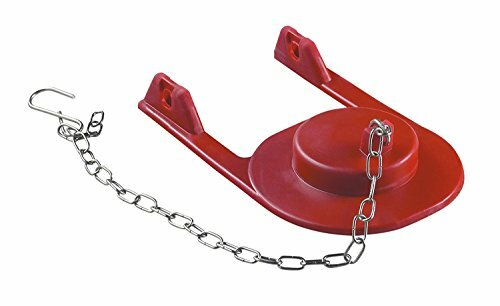 No more leaky flapper, tangled chains or handles that have to be jiggled. The Total Repair Dual Flush Valve quickly and easily converts a standard toilet into a two-button, dual flush toilet. One button is the Quick Flush setting that uses significantly lower water volumes for liquids and paper - the setting needed 4 out of 5 times. The second Full Flush button uses the normal amount of water for solids. 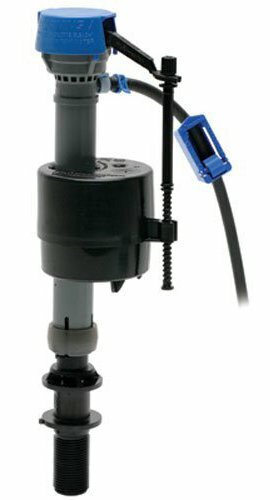 Designed for drop-in installation, the HYR460 can be installed in without tools and without having to remove the tank.The Total Repair Kit can be calibrated to adjust the exact amount of water needed, detects leaks, and jets clean the tank. Upgrade yours today! EASY NO-TOOLS REQUIRED INSTALLATION: Installs without tools in 5 to 10 minutes - tank removal not required. 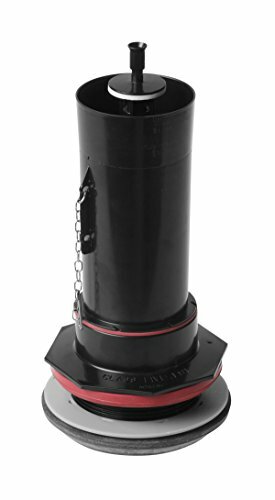 COMPATIBILITY: Works with standard-flush valves and requires 10-inch minimum clearance from highest point of the flush valve opening to the inside of the tank lid. Not compatible with Mansfield toilets. -DURABLE: Chlorine and chemical resistant and will not warp. BRONZE LEVER: This modern toilet lever fits right, left, angled & front mount toilet tanks & works with 2" & 3" toilet flappers. It's easy to install in two adjustable positions without bending. The corrosion-resistant material is guaranteed not to rust. 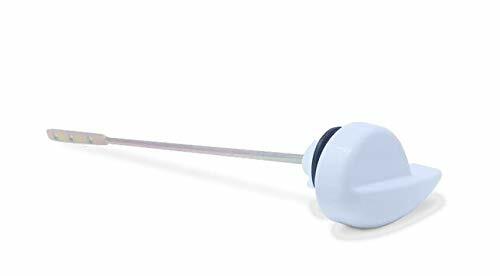 Install this toilet flush lever with ease to instantly fix tank leaks and sticky handles. The lever handle is spring loaded and returns the modern lever back to the neutral position. The bronze finish is corrosion resistant & complements bathroom decor. LONG LASTING: This tank lever is designed with engineer grade metal that performs just as well as brass & aluminum levers. 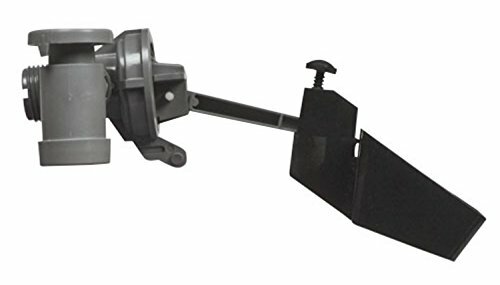 Most other tank levers that need replacing break, but the reinforced metal of this lever provides extra strength & durability. The first flush of water from the roof can contain amounts of bacteria from decomposed insects, skinks, bird and animal droppings and concentrated tannic acid. It may also contain sediments, water borne heavy metals and chemical residues, all of which are undesirable elements to have in a water storage system. Instead of flowing to the water tank, these pollutants are diverted with the initial flow of water into the chamber of the water diverter. 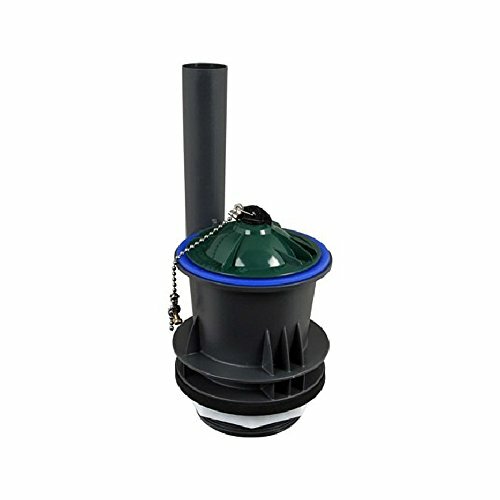 The water diverters from Rain Harvesting utilize a dependable ball and seat system - a simple automatic system that does not rely on mechanical parts or manual intervention. Dimension - 11.6 x 9 x 5.7 in. The Fluidmaster 703A, designed to replace old, or inefficient Glacier Bay / Niagara Flapperless Toilet fill valves, while optimizing your toilets refill performance. Designed and manufactured to specifically fit Glacier Bay and Niagara Flapperless Toilet models. This toilet fill valve helps increase your toilet s performance with fast refill rates. Slow or broken fill valve? Restore factory performance with this direct replacement fill valve. 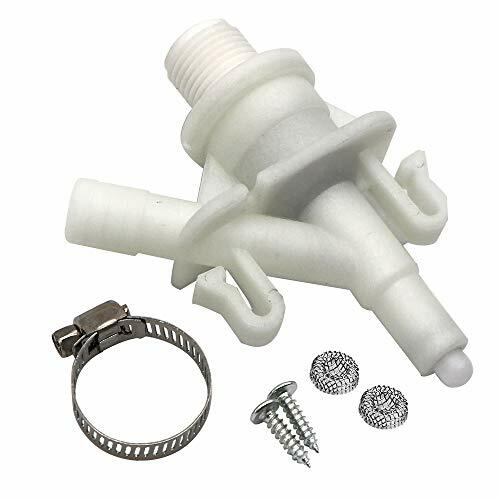 Built for quick and easy installation, this fill valve is a cost effective DIY solution to common toilet fill problems. Built with quality and durability in mind, the 703A features corrosive-resistant materials, a 1-year warranty and a code-approved, anti-siphon operation. The Fluidmaster 703A Toilet Fill Valve for Glacier Bay and Niagara Flapperless Toilets is a direct OEM replacement toilet fill valve. The fluid master performax all-in-one toilet repair kit is the best, comprehensive, solution for common toilet problems, such as: noisy toilet, running or leaking toilet, slow filling toilet and toilet with weak flush. 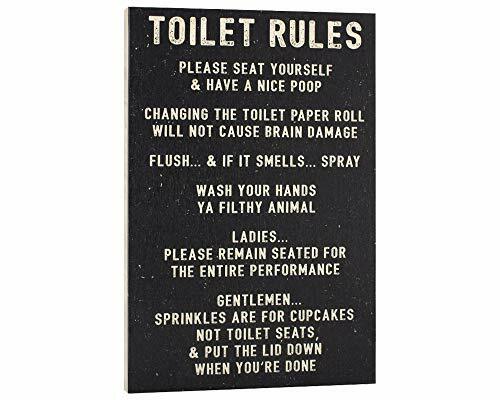 Funny home decor that enforces bathroom etiquette, and looks great with black and white decor. This 9x14 sign is a funny housewarming gift for men or women. TOILET RULES - "Please seat yourself and have a nice poop, changing the toilet paper roll will not cause brain damage, flush... and if it smells... spray, wash your hands ya filthy animal, ladies... please remain seated for the entire performance, gentlemen...sprinkles are for cupcakes not toilet seats, and put the lid down when you're done"
Embarrassed by noisy and leaks on your toilets? Are you looking for durable, wide compatibility and super tight K-GP1059291 Canister Seal? Your toilet functionality gets better with this top quality K-GP1059291 Canister Seal. 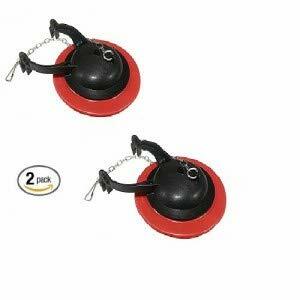 This seals will make your toilet operate smoothly with maximum pressure facilitation. No noise due to mechanical failures. Most of the leaks are due to wear of the seals, and that is why with this replacement you experience no leaks for the next months if not years. 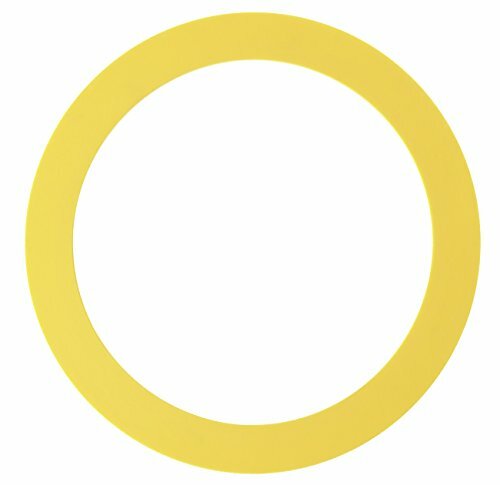 Our OEM canister seal is made of 3 3/8 a universal size that many toilets have. All toilets with Kohler flush valves will be a perfect match for this canister seals. The perfect design that you can install by yourself. When installing you don t need to open the base, and this makes it quick and convenient. 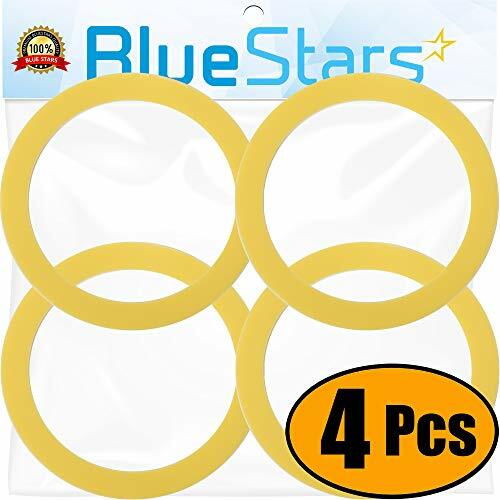 Resistant to wear Easy to install and fast The top quality which is made from durable, long-lasting material Creates a tight seal to stop leaks & noisy toilets Comes in 3 pieces per pack, enough supply for your toilet Count on our K-GP1059291 Canister Seal Replacement part for an unrivaled mix of durability, convenient functionality, and great value for money. Click 'Add to Cart' now! The Kohler brand names and logos are the registered trademarks of their respective owners. Any use of the Kohler brand name or model designation for this product is made solely for purposes of demonstrating compatibility. OUR PROMISE TO YOU: no noisy toilets anymore. You will enjoy your smooth toilet operation and with zero leaks - no embarrassment of your toilet losing pressure. We deliver OEM product. If our product doesn't match the description, we offer a full refund. Enjoy risk-free purchases!! Please note: FLUSH LEVER LOCKNUTS HAVE A REVERSED THREAD. Instructions: 1. Remove chain or strap from existing flush lever. 2. Remove old flush lever. Note: the threads loosen in the opposite direction. 3. Insert new flush lever into toilet. 4. Attach locknut to flush lever and tighten it down to toilet tank, remember the reversed threads. Do not over tighten. 5. 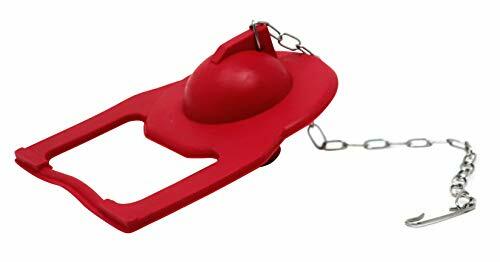 Attach chain or strap of toilet flapper ball to new flush lever and adjust as needed. 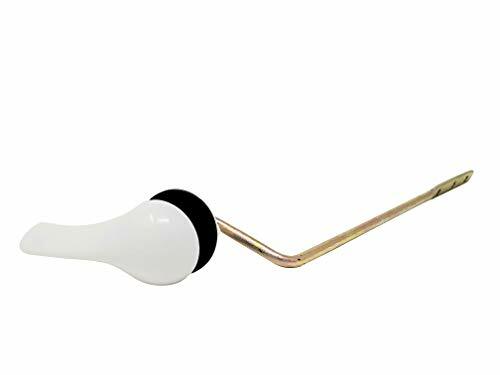 The flush arm is made of iron with electroplating process, the toilet tank handle with nut is made of quality plastic, durable enough, good workmanship ensures it's not easy to break or deform, can serve for a long time. 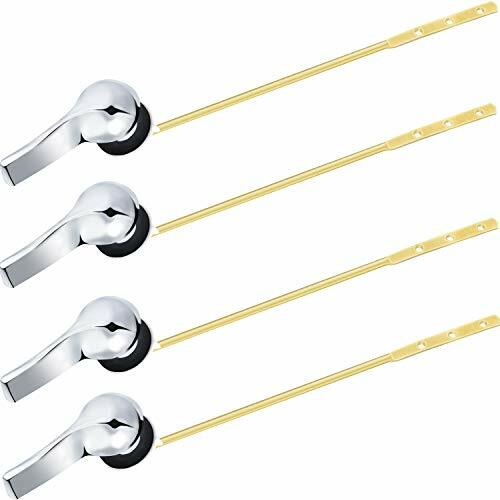 Convenient to install with 3 flapper chain hang holes on the tank flush lever, universal design, good replacement for broken toilet tank flush lever. It's front mount toilet handle, please make sure the toilet tank flush lever is suitable for your toilet tank flush arm style before purchase. Pointed items, please keep away from children. FLUSH AWAY TOILET ISSUES- If you have a leaky toilet, you can flush your toilet problems away while saving on water waste! All you need is this handy toilet kit. Plumbing repairs become easy pee-sy with its simple installation. KOHLER POTTY REPAIR - Our hinge flapper valve is a good fit for all Kohler 84995 toilet models and tanks, including San Raphael, Rialto, Rosario, Kelly Graphos, and Santa Rosa. Flexible rubber valve provides a tight seal ring to prevent future potty problems. TOILET WATER RESISTANT - Whether you use well water or hard water, there's a lot of nasty chemicals and bacteria floating around your WC. The flap is quality made of siliconized rubber and a stainless-steel chain & hook to stand up to the harshness of chlorine, city water treatments, and other chemicals. REPLACE THE OLD WITH THE NEW - Don't worry if your plumbing skills aren't up to par. Just turn off water supply, remove old flapper from clips on the back of overflow tank and remove chain from flush lever. Attach new flapper to clips and fasten chain to flush lever with hook, and turn water on. See more detailed instructions below and on product packaging.